The 4th International Young Naturalists' Tournament took place on July 16—22, 2016 on the campus of Shiraz University, Iran. The competition attracted 16 Teams of 5 countries. The Gold Winner of the 4th IYNT 2016 was the team Georgia-Georgians. The local webpage of the 4th IYNT 2016 was iynt.ayimi.org. Sixteen Teams joined the competition, including four Teams that did not fulfill age limitation (Ch. 1, IV, 1) and were not eligible for regular Semi-Finals and regular medals. 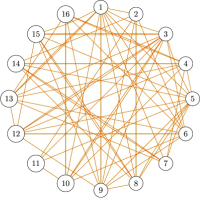 Only nine Teams timely submitted original statements of Invent Yourself and were thus allowed to SF 3, with the brackets for SF 3 determined by applying a Semi-Finals scheme (Ch. 4, II, 1) to the Ranks after SF 2. 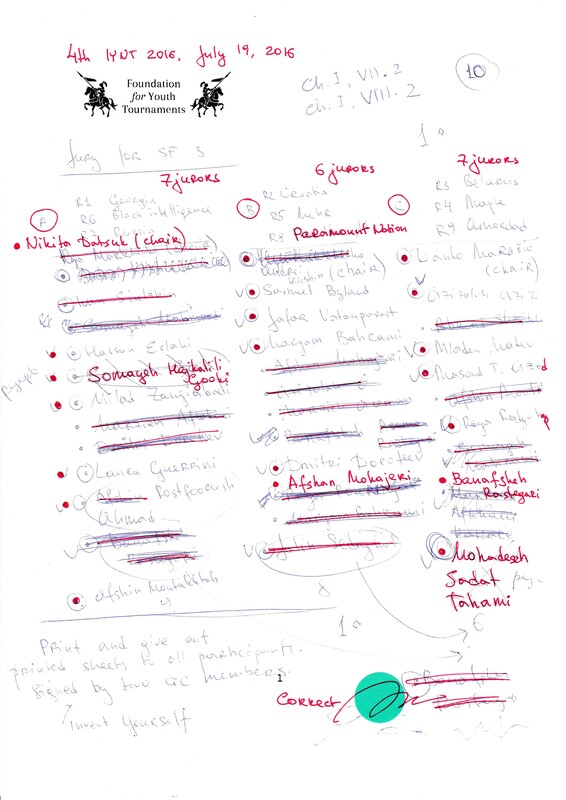 The brackets for SF 4 depended on Rank R after SF 3, according to a pre-determined rule (Ch. 4, I, 3). The sequence of performances in SF 4, Semi-Finals, and Finals was decided by the Captain winning the Captain's Contest in each Group (Ch. 2, I, 4.) 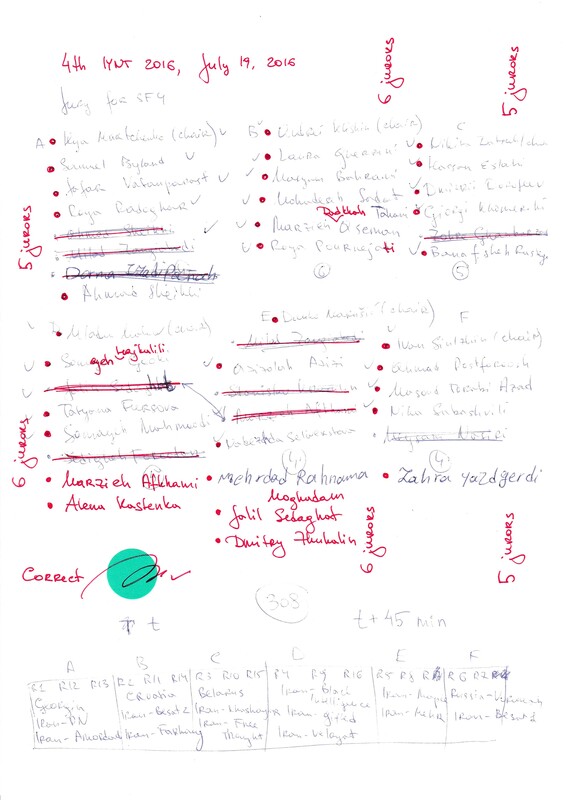 Rejected challenges were counted together for all SFs, including Semi-Finals (a total of 3 rejections not incurring a penalty.) Main problems (Nos. 4—17) were available for challenge in SF 1 and SF 2, Invent Yourself (Nos. 1—3) were available for challenge in SF 3, and additional problems (Nos. 21—26) were available for challenge in SF 4. As the number of Teams N was above 12, nine regular Teams with the highest Rank R after SF 4 were allowed to the Semi-Finals in three parallel Groups and had secured their Bronze Medals (Ch. 4, II, 1; Ch. 5, I, 4.) There was no challenge procedure in the Semi-Finals (Ch. 4, II, 4.) Three Finalists were three winners (by V) in each Semi-Final group, and in one Group where two Teams emerged with V=1, the Finalist was determined via comparison of Ranks R after Semi-Finals in the said Group only (Ch. 4, II, 1). Main and Invent Yourself problems were available for choice in the Semi-Finals (Ch. 4, II, 4) and Finals (Ch. 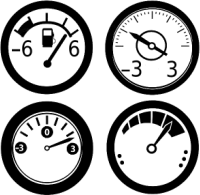 4, III, 2.) Priority in the choice of problems for Semi-Finals and Finals was by the Rank R after SF 4 and Semi-Finals respectively, and it was forbidden to pick up a previously reported problem. Finalists had secured their Silver Medals, and only one Team eventually earned V=1 and won Gold Medals (Ch. 5, I, 2.) This Table summarizes only the decisive grading parameters, and the detailed results of the competition can be found here. Iran-Gifted: Seyed Amirhossein Tabatabaei (captain), Reza Bemana, Parsa Jorat, AhmadReza Esfandiary, Meysam Noroozi, Nikan Ostovar, no Team Leader. International independent jurors: Samuel Byland (chair), Nikita Datsuk (chair), Alena Kastenka (chair), Andrei Klishin (chair), Ilya Martchenko (chair), Mladen Matev (chair), Dmitry Zhukalin (chair), Dmitii Dorofeev, Laura Guerrini, Evgeny Yunosov. 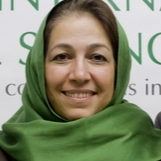 Local independent jurors: Marzieh Dadkhah Aseman, Masoud Torabi Azad, Azizolah Azizi, Maryam Bahrami, Hassan Eslahi, Sedigheh Forootan, Marzieh Afkhami Geraei, Somayeh Mahmoodi Koosh Ghazi, Somayeh Hajkhalili Gooki, Dina Izadi, Afshan Mohajeri, Afshin Montakhab, Ahmad Poostforush, Roya Pournejati, Roya Radgohar, Banafsheh Rastegari, Jalil Sedaghat, Ahmad Sheikhi, Mohadeseh Sadat Tahami, Jafar Vatanparast, Milad Zangiabadi. Team leaders in the jury: Danko Marušić (chair), Ivan Syulzhyn (chair), Tatiana Fursova, Giorgi Khomeriki, Stanislav Krasulin, Mehrdad Rahnama Moghadam, Nika Sabashvili, Nadezhda Seliverstova, Zahra Yazdgerdi. Science Fight Attendants: Ehsan Asali, Nona Izadipanah, Shayan Majidi, Mohadeseh Nikseresht, Sowlat Sabahi, Fatemeh Tekrari, Hassan Bagheri Valoujerdi. 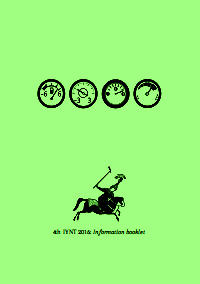 Update 2016/07/13: Official booklet for the 4th IYNT 2016 is posted and went to press. The booklet can be downloaded as a *.pdf file. Update 2016/07/12: The results of the 4th IYNT 2016 are updated at real time at this page. 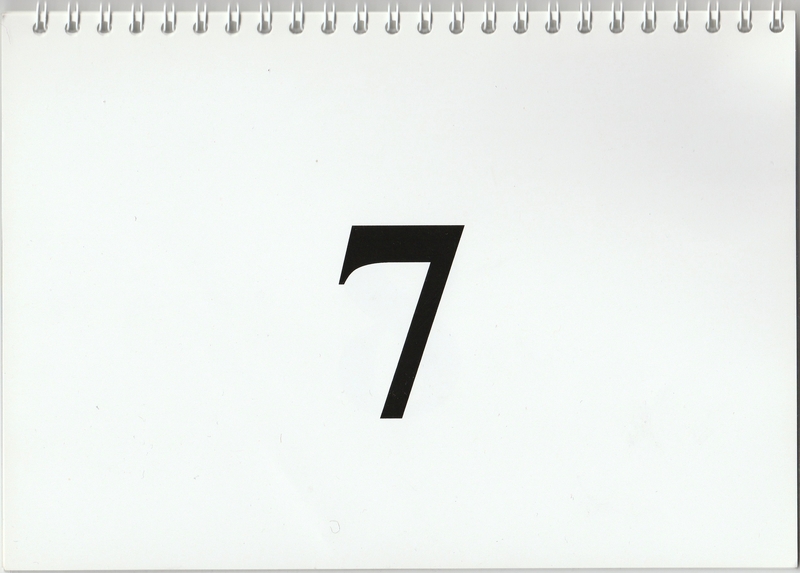 Update 2016/03/27: As opposed to past announcements, the dates of the 4th IYNT 2016 are July 16—22, 2016. The LOC 2016 and the GC appreciate greatly your understanding of this unforeseen rescheduling. Update 2016/02/03: The local webpage is maintained at iynt.ayimi.org. Update 2015/11/30: Welcome to the local webpage of the 4th IYNT 2016, iynt.ir. The LOC sets the registration deadline to March 30, 2016 as well as the registration fees for Teams and visitors. Update 2015/11/24: The 4th IYNT 2016 will be held in Shiraz, the City of Roses and Nightingales, on July 10—16, 2016. The competition will be hosted in the premises of Shiraz University, one of the most prominent research-oriented institutions in the country and the region. 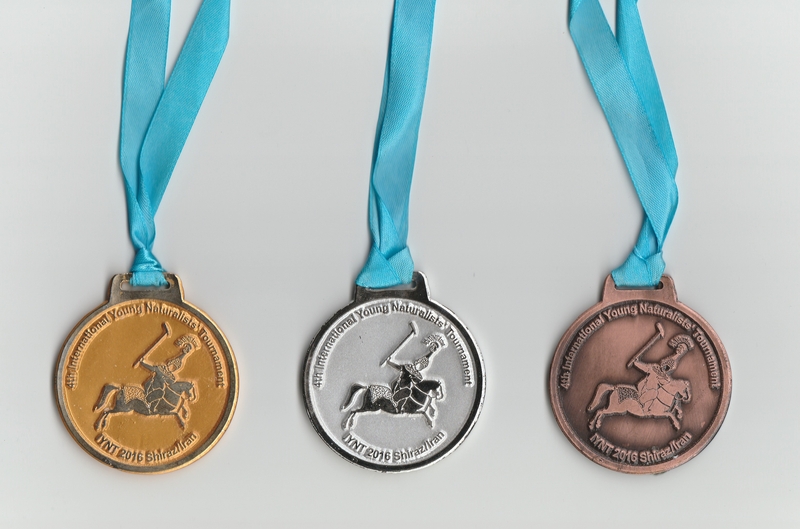 The dates of the competition are selected such that the IYNT does not overlap with the 29th IYPT 2016 on June 26—July 4 and the IOC meeting of the IYPT on July 4—6. After considering other possible venues of Nowshahr, Tabriz, and previously mentioned capital city of Tehran, the LOC now lands the 4th IYNT 2016 in Shiraz to improve the quality of competition in many aspects. Shiraz is conveniently served by Shiraz International Airport (SYZ). The LOC and GC cordially invite the Teams to pre-register for the 4th IYNT 2016. Update 2015/09/05: Amended Regulations of the IYNT are approved and adopted. A scan of signed Regulations and the original official PDF are available for download. Update 2015/06/24: Just minutes after the Semi-Finals of the 3rd IYNT 2015 were over, we released the problems for the 4th IYNT 2016. Our plan to release them on June 25 was revised as FTP access is blocked in the premises of the Closing Ceremony in Belgrade. Update 2014/09/07: As opposed to the earlier notice of Tehran as the host city for 2015, the IYNT General Council resolved to switch the host for the year 2015. Reduction in travel expenses will significantly widen participation in 2015 and foster the IYNT engagement over the long term. 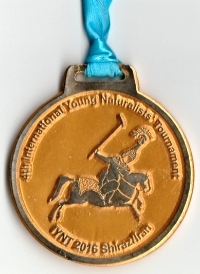 The 4th International Young Naturalists' Tournament will be held in Iran in 2016. The local organizer of the IYNT 2016 is Ariaian Young Innovative Minds Institute, AYIMI. We happily invite all teams to the hospitable Persia, a beautiful country with a rich cultural heritage. In the message confirming the hosting credentials, the IYNT Founder Evgeny Yunosov said, "It is the mutual desire of the GC and of the AYIMI that the IYNT 2016 contributes to the further development of the IYNT movement and enhances its long term interests. We wish that the IYNT 2016 is organized in the best possible manner and takes place under the best possible conditions for the benefit of the participants and educators of the World". This section brings together the slides presented by the Teams, the overview of each Science Fight, as well as scanned Individual Juror's Protocols and Science Fight Protocols. The detailed results and overview of accepted and rejected problems, penalties, and rankings after each SF is available here. The local logo of the 4th IYNT 2016 depicts a Persian Chovgan player with the inscription 4th IYNT—Iran hidden around his helmet. Chovgan (Persian: چوگان, lit. mallet) is a traditional team game played on horseback and ancestor to the game of polo. 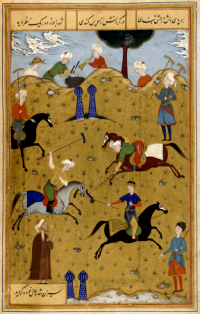 It is widely believed that polo originated among the Iranian tribes before the reign of Darius the Great (521—485 BCE.) By the 12th Century, Chovgan was romanticized by such poets as Ferdowsi and Nizami Ganjavi, was depicted on Persian miniatures, was played in international tournaments, and had its detailed rules, including that "a player should strictly avoid using strong language and should be patient and temperate". The image below is a folio of Safavid dynasty-era manuscript Guy-o Chovgan by Arifi. The 4th IYNT 2016 logo is available for download here: [jpg]. Meet other participants of the 4th IYNT 2016 in our Facebook group. The LOC 2016 was cooperation between Shiraz University and Ariaian Young Innovative Minds Institute. Shiraz University, established in 1946, is a high-profile research-oriented institution of higher education committed to advancement and dissemination of knowledge. AYIMI is a private institute that promotes active learning among young generation and has organized the 24th IYPT 2011 and the IJSO 2012. 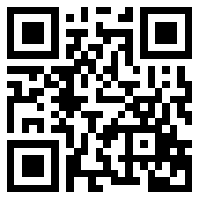 We use the upload manager IYPT Solutions in cooperation with the IYPT Archive. All teams must obtain login and password from the Situtaion Center and upload their Reports, Oppositions, and Reviews before the Closing Ceremony. During the SFs, 1284 Grades have been given by 40 Jurors who worked in up to 6 parallel Groups and evaluated a total of 69 Stages. 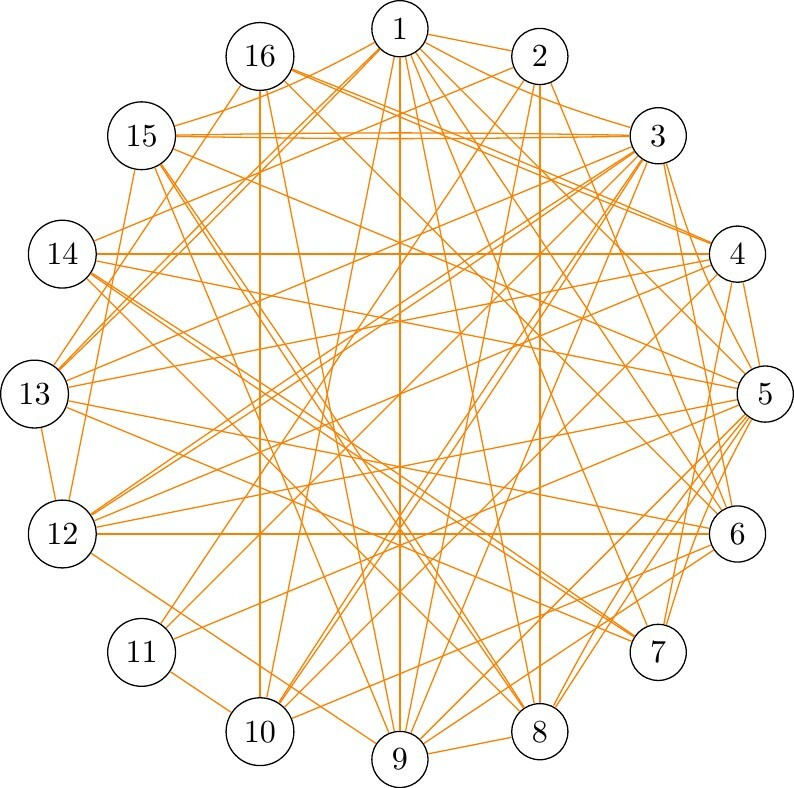 These Jurors were 10 international independent Jurors (an average of 1.7 per Group), 21 local independent Jurors (3.5 per Group), and 9 Team Leader Jurors (1.5 per Group.) Each Stage was judged by an average of 6.2 Jurors. 9 Jurors rotated as Chairpersons. On top of it, 208 Grades have been given at the Opening Ceremony by 13 selected independent Jurors. The cumulative number of individual IYNT Jurors reached 100, including 2 Jurors who worked at four IYNTs, other 2 Jurors who worked at three IYNTs, and other 10 Jurors who worked at two IYNTs. 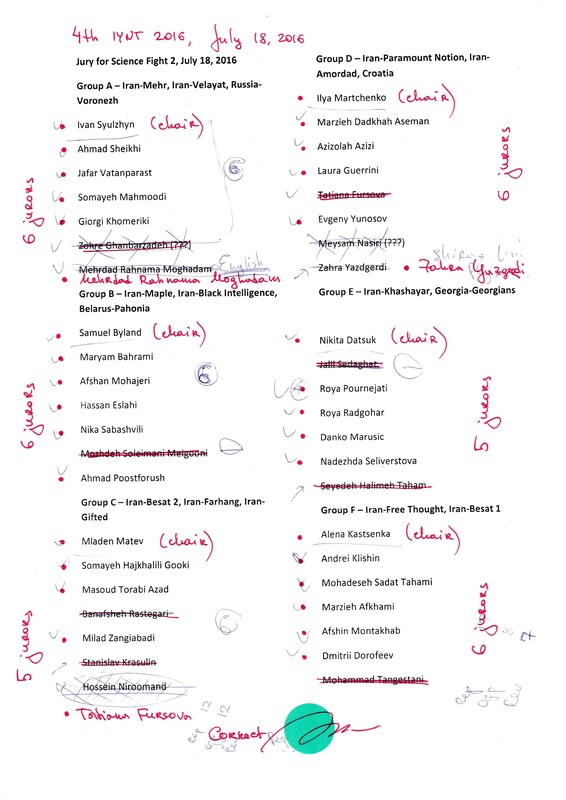 The cumulative number of experienced Chairpersons reached 23, including 2 who had chaired at four IYNTs, other 1 who had chaired at three IYNTs, and other 4 who had chaired at two IYNTs. By the end of the 4th IYNT 2016, only 4 persons in the World had attended all IYNTs: Ilya Martchenko, Mladen Matev, Nika Sabashvili, and Evgeny Yunosov. 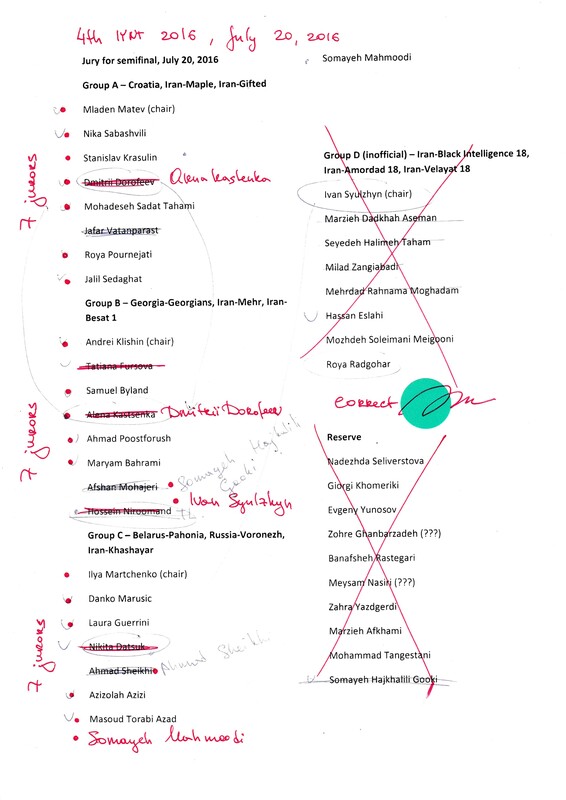 The following 2 persons had skipped only a single IYNT: Andrey Kravtsov and Guram Mikaberidze had skipped the 4th IYNT 2016. 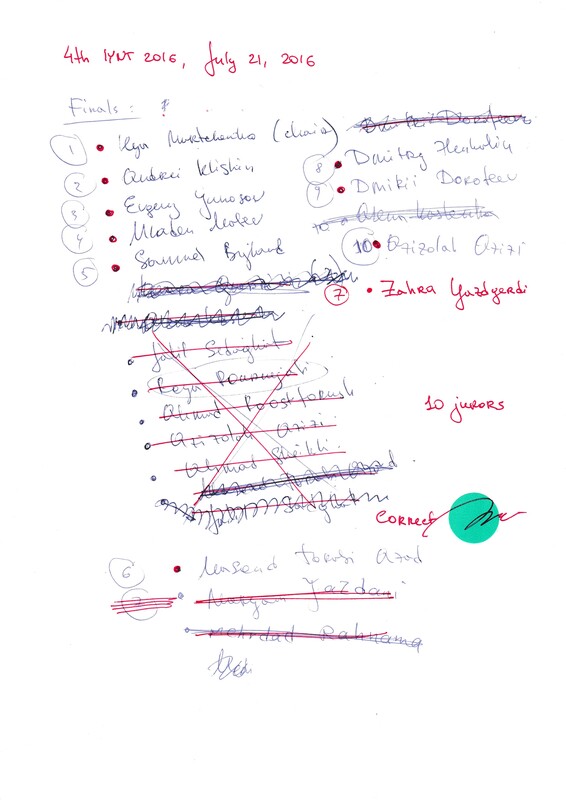 The following 25 persons had skipped only two IYNTs: Luka Bulić Bračulj, Alena Kastenka, Andrei Klishin, Hieorhi Liaśnieŭski, Matija Martinčić, Danko Marušić, and Dmitry Zhukalin had skipped the 1st IYNT 2013 and the 2nd IYNT 2014; Giorgi Khomeriki had skipped the 1st IYNT 2013 and the 3rd IYNT 2015; Aleksandra Dimić, Maria Geneva, Luka Jevtović, Milen Kadiyski, Aleksei Krasikov, Dimitrije Rajčić, Teodora Ristoski, Marko Slijepčević, Nikola Srzentić, Gvantsa Tsutskhashvili, and Anika Vučićević had skipped the 1st IYNT 2013 and the 4th IYNT 2016; Dina Izadi had skipped the 2nd IYNT 2014 and the 3rd IYNT 2015; Natalia Vasyova had skipped the 2nd IYNT 2014 and the 4th IYNT 2016; Dmitriy Agarkov, Dimitrina Foteva, Maria Karaboeva, and Daniela Karashanova had skipped the 3rd IYNT 2015 and the 4th IYNT 2016. Our partner national committees put forward bids to host a future IYNT. A call is open about the hosting bids for the 6th IYNT 2018. We have one provisional proposal and one provisional expression of intent and look forward for discussing, selecting and approving the host country of the vibrant and memorable 6th IYNT 2018 in due course.